Apparently I'm A Natural Energy Healer. What Advice Do You Have For Me? I Seem To Be A Natural Energy Healer. What Next? My entire life I have felt sensations with my hands. From a very, very young age. Before I knew what it was, I was tested for carpal tunnel and other nerve related disorders. I experienced all kinds of sensations; pins and needles, sharp electric shocks or pain, throbbing pain or just pressure, hot, cold, falling asleep, visual color changes in my hands and up my arms, full on purple and red hands, partial purple or red hands, finger tips only, etc. In the last few years I have begun to use my ability to remove pain from other living creatures with incredible results. I have no training, no holistic leanings yet am able to pull pain from a person's body. I have always been able to do this--apparently I am a natural energy healer. I feel pain in other living things, it flows out of them, through me and out somewhere. I just draw it out, immediately. They always feel it leaving, when it is happening and sometimes quite dramatically. It's just gone after I no longer feel it. I don't know what this is. When I speak with people familiar with "energy" work, they constantly want to label it. Most often Reiki, but this is not what I do. Nothing I have read, learned or been told fits. I have yet to feel an affinity to any energy healing discipline. Frankly, I am beginning to wonder if anyone else is doing this or do I simply not follow current dogma? I KNOW I am not unique. What I do may be unique, but the fact that I can do it is not. There are many gifted people out there. Let me state very clearly, I do not believe anything I am doing removes pain from people. In fact, I know it. This is something that comes through me. I am a satellite dish that was properly constructed to receive and send the signal. If what I do is out there already, I want to meet someone who can help me cultivate it. Please share with me your thoughts. I am looking for direction and feedback. It seems you’re presenting me with two issues. First, your ability to remove pain from others. I would interpret this as your having the ability to heal others by influencing their energy — i.e. the ability to do energy healing. It’s my strong belief that everyone has the ability to do some energy healing. It’s completely natural. When a parent kisses a child’s skinned knee and the child feels better, to my way of looking at it, that’s energy healing. Nothing esoteric about it at all. But just like nearly everyone can walk and run to some degree, but not everyone can run a marathon or make it to the Olympics, some people have a greater-than-average ability to heal others. Reasonable people can agree about whether this gift comes with birth, or whether an inner passion for doing it drives them to “practice practice practice till they make it to Carnegie Hall,” to adapt an old joke. Whatever the reason, some people just seem to have a more developed gift for healing others. You’re obviously one of those, a natural energy healer with a gift for it. I’m glad to hear you say that you’re clear about it coming through you rather than from you. This is important for a lot of reasons, including that it helps to prevent you from burning out. As for people wanting to label what you do, that just seems like human nature to me. We’re all more comfortable when things fit into models that we already know. I’m thinking that most people try to call what you do Reiki because that’s the form of energy healing that people are most familiar with. Personally, when you describe what you do, my mind leaps to a Healing Touch technique called the pain drain. It sounds very similar. Obviously, I’m not trying to say that you’re practicing Healing Touch without knowing it. But as someone who’s surveyed a number of different kinds of energy healing, it’s clear to me that a lot of people have independently arrived at similar techniques. Not that there aren’t a lot of unique approaches and techniques out there, too, but in general there’s a lot of overlap. So it’s not a surprise that what you do has similarities to a technique that is widely used by others, even though you came to it quite on your own. 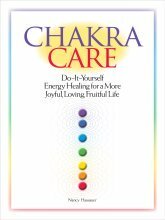 What you’re doing, even if it is unique (every energy healer’s work is unique), sounds to me well within the framework of what others are doing, even if you can’t link it to a particular “school” of energy healing. So your second issue, it seems to me, is that you’re exploring the idea of finding someone to help you cultivate your gift as a natural energy healer. I think that’s terrific. Among other things, it sounds like you are opening more to your own gift, and that’s always a good thing. I suggest that you look on my website, at the page called “Types of Healing.” I believe it’s shown on the left-hand navbar. Read it over and see if any of the types appeal to you. Then track down a class in your area and try it out. I think you may have to experiment around to find someone who is a good fit for you — sensible and down-to-earth. Or you may just have to resign yourself to sifting through the stuff that does and doesn’t resonate with you. I’m thinking you may like Healing Touch, which comes out of the nursing community and is well established. You might also like to become “initiated” into the Usui Reiki tradition. My own experience with it was that it was very down-to-earth, simple and effective. (Just look for a Reiki Master who has been around for a number of years, the more the better.) I’m also wondering if acupressure or acupuncture-based methods would be a good fit for you, since they are based on an old and rich medical tradition. I hope these thoughts are helpful. Go from Natural Energy Healer to site Home Page.